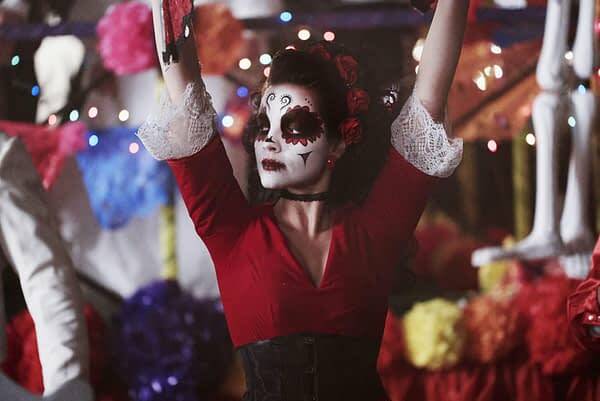 Deadly Class debuted on SYFY in mid January, and has been a gut-punch to the nostalgia centers for old, burned out punks like me- but don’t let that stop you from checking it out. 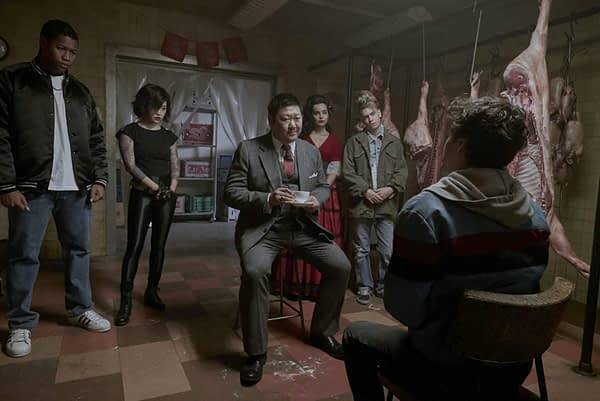 Here, for your consideration, are ten reasons why you should drop everything you’re doing, and watch Deadly Class. 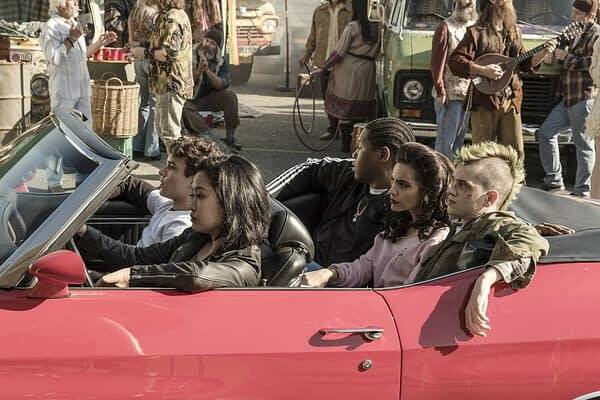 Deadly Class features an ensemble cast unlike any I have seen in a long time. The younger cast members are believable in their roles, mostly because they aren’t a bunch of 30 year old actors playing at being teenagers. Benjamin Wadsworth plays Marcus, a conflicted kid with a poet’s heart, sick of violence and pretentiousness in the world, and yet… he’s a killer; Liam James plays Billy; a good kid who was sold to a boarding school for assassins by the mob; Luke Tennie plays Willie, a supposed gang-banger who is hiding his pacifism; Lana Condor is Saya, a Yakuza princess who may be the deadliest killer on earth; María Gabriela de Faría plays Maria, an assassin from Mexico who dresses in Day of the Dead makeup when she’s on the hunt. 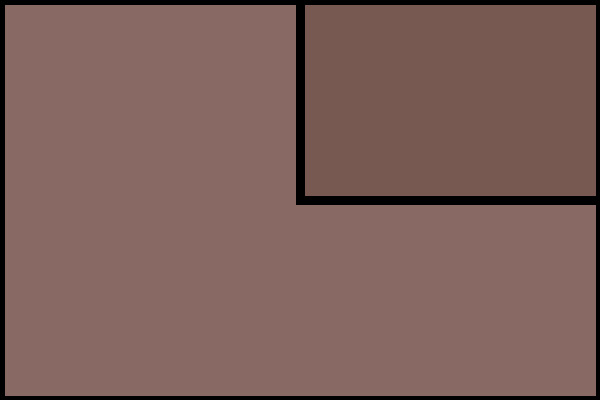 Each and every one of the primary actors plays real, living, breathing people. Each one of these kids feels fully fleshed out from the first episode. Marcus is pretentious as hell, but he knows it, and even jokes about it. Billy’s pain over his dad’s abuse is palpable; Saya’s rebellion from her family doesn’t feel like a part. Willie is split between his duty to his family, his loyalty to his friends, and his strong desire to run off with his girlfriend. It all feels very, very real. Then you get to Benedict Wong, who plays Master Lin, the enigmatic headmaster of Kings Dominion. There is a slowly simmering fury raging under the surface of a brutal benevolence: you can never tell what Lin’s motivation is, whether he wants the kids to survive, or if he’s using them as pawns for some secret agenda of his own. Wong plays Lin with a stretched-thin kindness, one that feels like it could snap and bring forth a torrent of rage and pain. It’s terrifying at times. The supporting cast is equally brilliant, and you find yourself wishing they were on more. Taylor Hickson’s Petra is the perfect goth dream-girl, but there is an edge and wit to her that cuts thin. Sean Depner’s portrayal of Viktor, a spoiled, pompous Russian sack of muscle is hysterically funny at times, but he’s a beast in a fight. Siobhan Williams plays Brandy, an obnoxious southern white supremacist that fights in a cheer-leader uniform. Throw in some great supporting roles from people like Henry Rollins and Christopher Heyerdahl, and you’re good to go. Everyone is just on point, all the freaking time. Deadly Class has some of the smartest writing on television, all under the watchful eye of Rick Remender, one of the co-creators of the comic book that the show is based on. The dialogue is wickedly funny at times, poignant at others, and none of it feels forced or cliche. There is also a frenetic pacing to each episode; nothing is filler, and every moment of every episode in the first season propels the narrative along at a pace that feels exhilarating and terrifying all at once. You’re never left feeling like the show is treading water while it tries to pad out the episode order for the season. 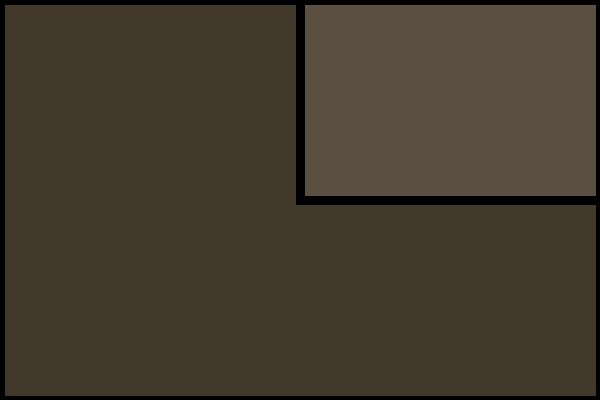 Each and every episode has a distinct story to tell, and tells it well. Deadly Class takes place in San Francisco during 1987, with the waning years of the Reagan administration seeing a lot of federal aid to mental health programs cut. There is a sense of real decay at play throughout the show, as if to show the viewers that the pop-candy veneer of new-wave glam culture was a flimsy lens best not dwelled upon. The show focuses on the student body of Kings Dominion, a boarding school that teaches the next generation of assassins how to ply their trade. The students are split by Legacies; long family lines of killers and alumni of the school, and Rats; riff-raff and street kids recruited by Master Lin to fill the ranks. There are divisions between the Legacy students, as the Dixie Mob won’t mingle with the Cartel kids, but all of the Legacies prey on the rats. The school is led by Master Lin, under the watchful eye of the mysterious Guild. The Guild just happens to be directed by Lin’s sister, Madam Gao (Olivia Cheng). The rules of Kings Dominion are strictly enforced by roving squads of hooded monks, and the faculty is made up of some of the nastiest killers on the planet. A lot of ’80s centric movies and TV shows focus on the New-Wave glitz that permeated the decade, or focus on bubble-gum acts like Madonna and Wham! for their soundtracks. Deadly Class dives head-first into music that fits each character, with bands like The Smiths, Siouxsie and the Banshees, Depeche Mode, and Love and Rockets sharing the same soundscape as Dead Kenndys, Iron Maiden, Agent Orange, Public Enemy, and Fugazi. Each episode of Deadly Class is named after a song from the ’80s, and those songs flavor the episodes they grace. It’s an amazingly well curated collection of music, and you can check out the playlist here. You may have heard of the Russo Brothers? They’re the writing, directing, and producing team behind a few other movies based on comic books. One of them is pretty snappy, too… The Russo’s are the producing power behind Deadly Class, and made sure Rick Remender had the leg-room to stretch out and tell the story he wanted to tell. Remender is something of a legend in comic-book circles, having worked on multiple Marvel series, as well as his own, independently owned series like Fear Agent, Black Science, and, of course, Deadly Class. And since Remender is so heavilly involved in the series, there are entire scenes that are directly lifted from the comics, and it’s wonderful. So far, Deadly Class has featured one back-story for each episode, animated in the style of Wes Craig’s art from the comic series. It’s a great way to make sure some element of the art from the books is featured in the story, and really helps set each character’s origin apart from the regular narrative. 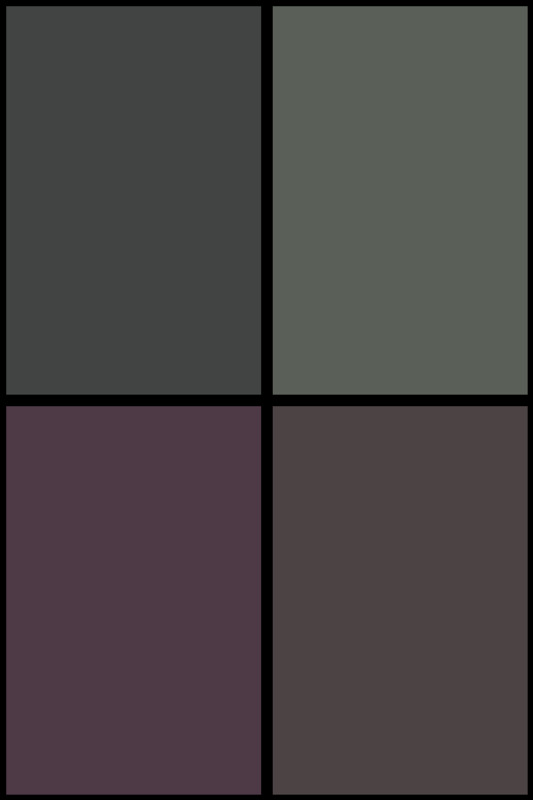 It’s also nice to see the art from the comic featured in the show, which was something sadly missing from The Umbrella Academy on Netflix. 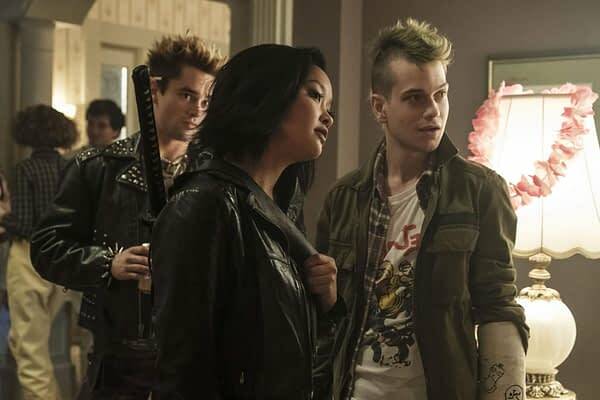 Each of the characters in Deadly Class has a signature weapon, and so far, we’ve seen most of them. Lex (Jack Gillet) has Fiery Jack and Captain Sensible, his spiked knuckles; Maria has a pair of razor-tipped fans; Saya has her father’s katana; Brandy wields a pair of pom-poms with spikes built into the handles; Viktor charges into battle wielding a sickle; and Master Lin has his cane, which he uses with brutal effect. Then again, he also fights pretty convincingly with a broad-sword. 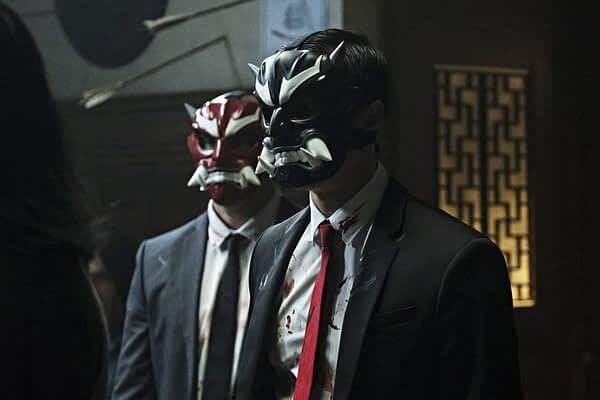 There have been some brilliant villains in Deadly Class so far, from the intense, steady menace of Chico (Michel Duval), Maria’s boyfriend and Marcus’ worst nightmare. Duval is quiet, unbridled rage, with a swagger and charm that can’t be beat. Then there’s the Kuroki brothers, a pair of brutal Japanese enforcers who come to Kings Dominion to capture Saya. 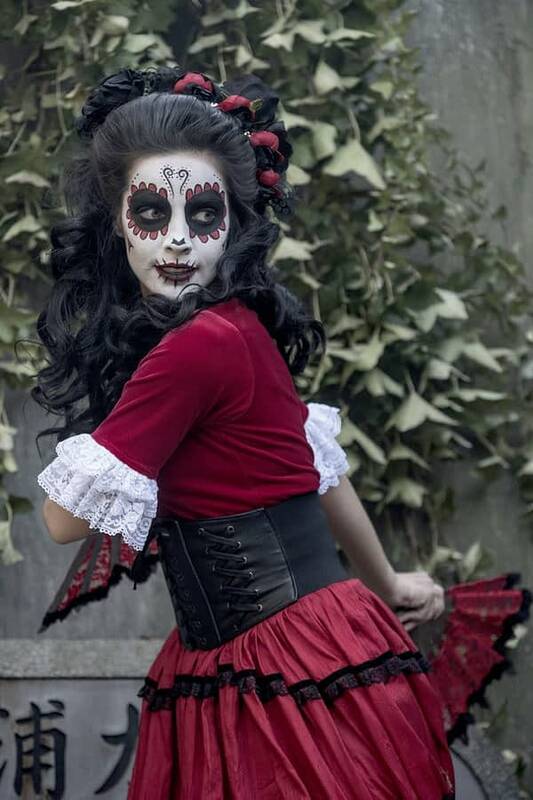 They are sharp dressers, and wear some pretty spiffy masks to boot! Chester “F***face” Wilson (Tom Stevens) is probably the biggest bad of the season, and has a serious bone to pick with Marcus. He’s also obsessed with gaining the fame he thinks Marcus has stolen from him, and has embarked on a murder spree (with the help of his hillbilly cousins) with the goal of getting invited to be on Donahue. Stevens is amazing in the part, with a beautiful singing voice, too. His talks with Chico are some of the best- and most horrific- scenes in the series. Scorpio Slasher spends the better part of another episode helping the kids track down Chester, and it’s some of the funniest, most incredibly sinister quality time I’ve ever seen on a school trip. French Stewart completely owns every second he’s on screen. Oh, and the dumb kids left him alone to chase after Chester, so he’s probably loose in San Francisco. Poor Dwight Shandy. He just wanted to deal pot to a bunch of prep-school kids, and ended up captive to the demented machinations of a madman. He also spends most of the series in his underwear. Brian Posehn spends almost every scene he is in being stabbed, burned, poked, or abused by F***face and his murderous band of hillbillies, and he’s hysterical in each and every one. He even manages to make an incredible musical number even better with some fancy footwork. It’s a deliriously fun role, and I’m hoping we see more of him in season 2. With all of that, I sincerely hope you take the time to check out Deadly Class. It’s not for everyone, certainly. There’s a lot of profanity, gore, and a few sexual situations. The kids swear like kids swear, and there’s a grittiness to the whole thing that won’t wear off for a few days after watching. But for those of us who like that in a show, dive in- it’s an amazing ride. 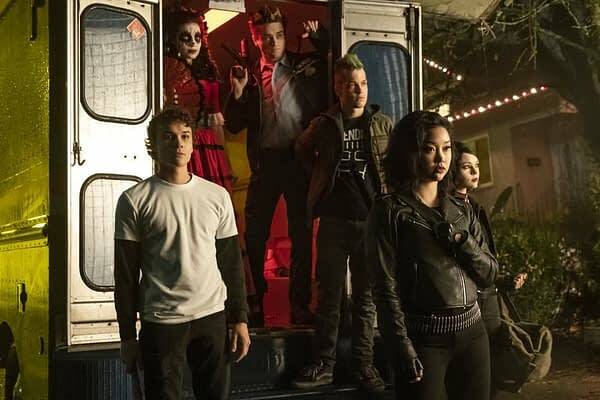 As of this writing, SYFY has not announced a second season order for Deadly Class. It would be a shame to see such an original show fall by the wayside. Episodes can be streamed directly on SYFY’s website, and the finale will be playing at 10pm ET on Wednesday, March 20th.